Get fast, reliable wifi throughout your entire house with eero. The wifi in my apartment is… bad. By Guatemalan standards I supposed it’s pretty good but for a household that consists of a tech writer and a front end UX/UI designer/startup founder, it is definitely not sufficient. My boyfriend and I have figured out that the upstairs porch gets decent signal and the corner in the kitchen next to the stove can usually be relied on to stream This American Life. We’ve written off the living room, the dining room, and our bedroom as dead zones and, as a result, neither of us can really get much work done after our coworking space closes in the evening. All in all, it’s not ideal – and it’s a common problem for people all around the world who have wifi. With eero, however, we could finally not only get work done in the evenings but could (maybe, possibly, I really hope so) even stream videos or podcasts without having to reload every five minutes. This hardware “wifi system” connects up to ten eeros, creating a mesh network that blankets your entire home. For a normal sized apartment, the company recommends two eeros, where larger homes will obviously need more. The entire system is also totally manageable from your smartphone, even to the point where you can invite someone to join you network, phone-to-phone. No more searching for passwords, no more plugging and unplugging routers, and no more waaaaaaaaaaiting for something to buffer. 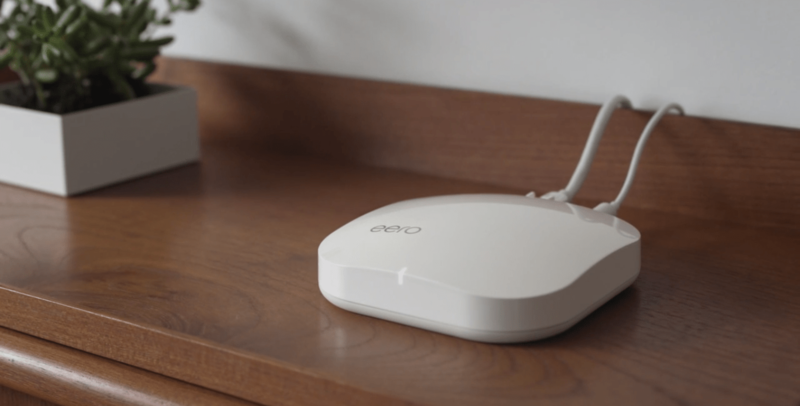 Currently in pre-order, the eero costs $125 for one (marked down from $199) or $299 for a three-pack (down from $499). For people who work online like my boyfriend and I, the amount saved in lost work hours covers the cost in a day. Stop spending so much time waaaaaaaaiiiittttttttiiiiiiiinnnngggg for your slow #wifi. @geteero to the rescue!